RAPID CITY, .S.D. — South Dakota School of Mines Athletic Director Joel Lueken is pleased to announce the hiring of Kevin Price as the new Senior Associate Athletic Director and Hardrock Club Director. He takes over the duties from Nate Brown, who resigned as Hardrock Club President this past April. The Hardrock Club is the main fundraising entity for the SD Mines Athletic Department with the goal of providing maximum athletic scholarship support allowed by the NCAA to all Hardrocker sports programs. Price, who most recently served as the Deputy Athletics Director at the University of Louisiana at Monroe (ULM), draws upon his 25 years of experience with previous stops at various NCAA Div. I programs. During his career, facility improvements have been a big focus. At ULM he helped develop a new football administrative building, new football field turf, a new baseball hitting facility and renovation of the track and field facility; at Baylor he spearheaded the effort to raise $2 million to renovate the tennis facility; at UC Riverside he helped with an ambitious project to raise $60 million to build a new basketball arena. In 2013, Price began as ULM’s Deputy AD where he oversaw many new construction projects, various sports and administrative units. Previously, Price’s stops have included a wealth of experiences not only from ULM and UCR, but also from Baylor, Oregon State, Santa Clara, TCU, Texas and Cal. From 2011 to 2013, Price served as UC Riverside’s Senior Associate Athletic Director, where he also oversaw new construction projects, various sports and administrative units. In 2013, he followed his AD (Brian Wickstrom) at UC Riverside from UCR to ULM. From 2005-10, Price was the Associate Athletic Director at Baylor, administering all facets of compliance with the NCAA and the Big 12 Conference regulations. 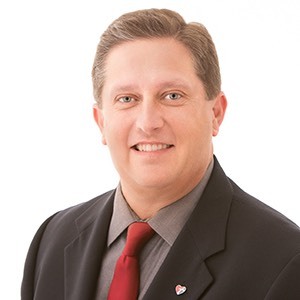 He was the sport supervisor for men’s tennis, women’s tennis and women’s volleyball while serving as tournament director for NCAA and Big 12 championship events. Price was also responsible for cultivating relationships with major donors and overseeing an $8 million financial aid budget and managing Heisman Trophy campaign issues of Robert Griffin III. Prior to his time at Baylor, Price served as the Associate Athletic Director at Oregon State from 2002-05. While with the Beavers, he was responsible for compliance with NCAA and Pac-10 Conference regulations while overseeing a $6 million financial aid budget and managing Heisman Trophy campaign issues of Steven Jackson. Price worked at Santa Clara University from 2000-02 where he was Assistant Athletic Director for compliance and oversaw a financial aid budget of $3 million. From 1999-00, Price was the Director of Compliance at TCU, and prior to that worked as the compliance coordinator at Texas from 1998-99. During those years, Price managed Heisman Trophy campaign issues for LaDainian Tomlinson (TCU) and Ricky Williams (Texas). Price, who holds a bachelor’s degree in sociology from UC Berkeley (1992), began his career working at his alma mater where from 1995-98 he served in football operations, fundraising, ticketing and compliance. He lives in Rapid City with his wife Samantha and children Savannah (15), Kameron (12), Kolton (7) and Kaleb (2).